This time, as detailed in a paper published in the IEEE/CAA Journal of Automatica Sinica, researchers at Northern Illinois University did something different. 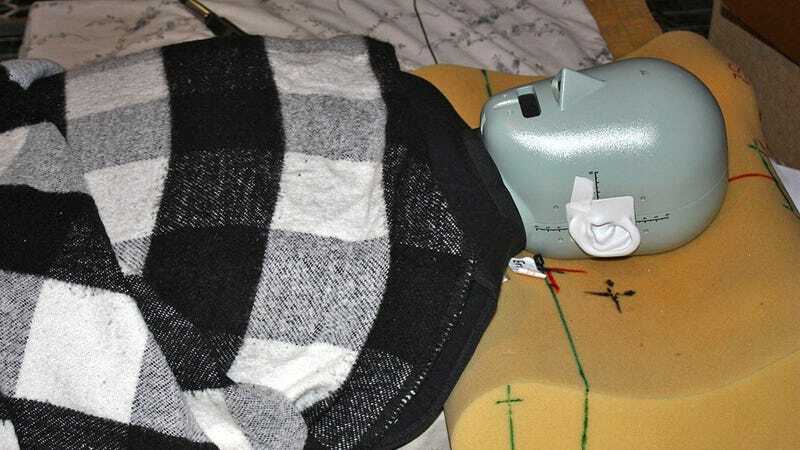 They created a speaker-packed pillow that uses adaptive algorithms to help minimize snoring sounds in the same way a pair of noise-cancelling headphones can help silence the random sounds of a crowded bus, but adjusted on the fly for a specific frequency and sound pattern. One nearby microphone captures the sounds of someone snoring, while two others capture the ambient sounds in a room, which are then all processed by an adaptive algorithm. Older noise-cancelling techniques involve the use of speaker-packed headboards that don’t effectively direct noise-cancelling signals at the sleeper who’s suffering. Who knows how far noise-cancelling techniques will evolve, but if this technology is ever parlayed into a consumer-ready product, we’ll be first in line for a smart pillow that promises to improve our sleep and save our relationships. Do You Use Noise-Canceling Headphones?